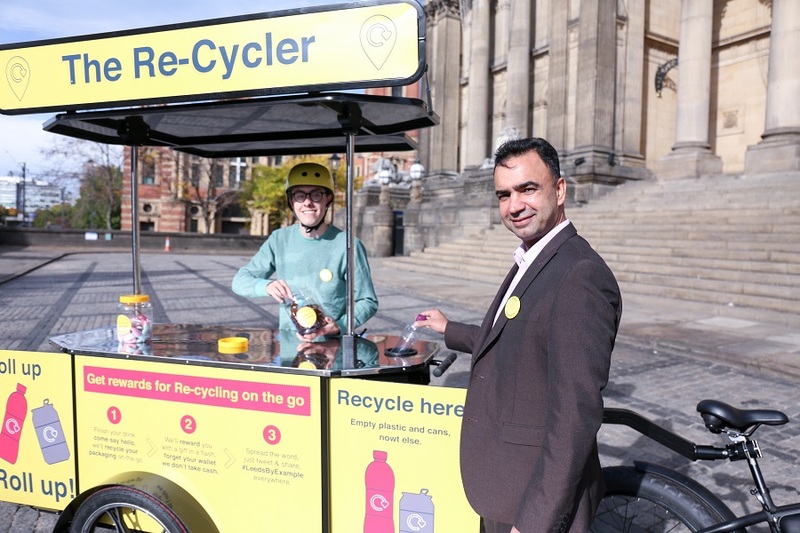 Bubble-blowing bins, recycling reward machines, a huge art installation and ‘Re-Cycler’ recycling collection bikes will appear across Leeds city centre from todayA as part of #LeedsByExample – the UK’s biggest push to date to trial innovative ways to improve rates of recycling on the go. Whilst recycling at home and kerbside collections have improved over the years, the rate of recycling on-the-go is still low. In the UK we get through 13 billion plastic bottles, 9 billion drinks cans and 2.5 billion coffee cups each year and yet recent research by ReCoup found that only 42% of local authorities provide on-the-go recycling facilities. 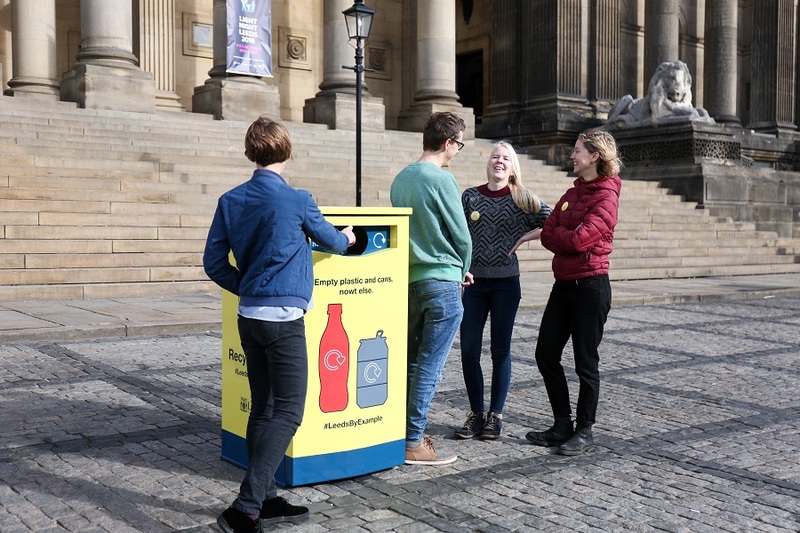 A survey of visitors to Leeds city centre conducted in August 2018 found that 52% of respondents had disposed of recyclable food and drinks packaging including plastic bottles, cans, coffee cups and food packaging whilst out and about and the majority of this recyclable waste was disposed into general waste bins. 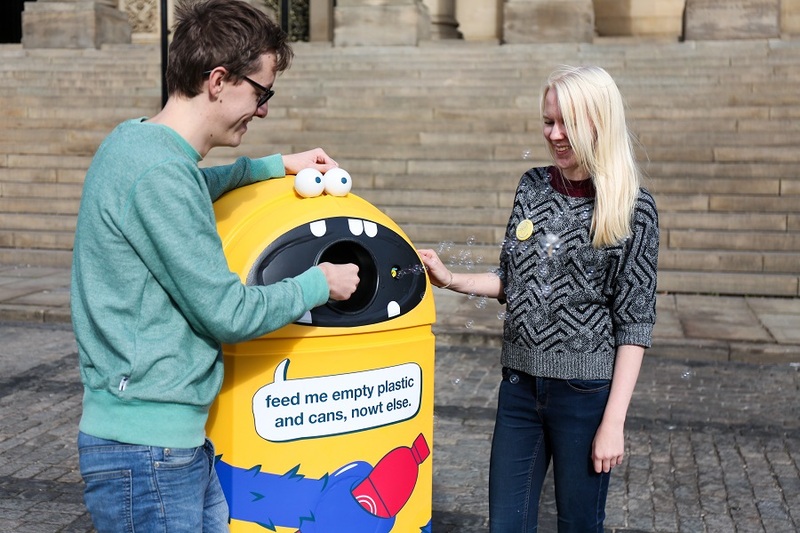 The environmental behaviour change charity Hubbub and recycling compliance scheme Ecosurety have brought together a unique partnership of big businesses and local firms to support #LeedsByExample. The initiative is backed by Alupro, Asda, Association of Convenience Stores, Ball Beverage Packaging Europe, British Plastics Federation, Bunzl, Caffe Nero, Coca-Cola GB, Costa Coffee, Co-op, Crown Packaging, Danone, Ecosurety, Highland Spring, Innocent, Klöckner Pentaplast (kp), Lucozade Ribena Suntory, Marks and Spencer, McDonald’s, Morrisons, PepsiCo UK, Pret A Manger, Starbucks and Shell. 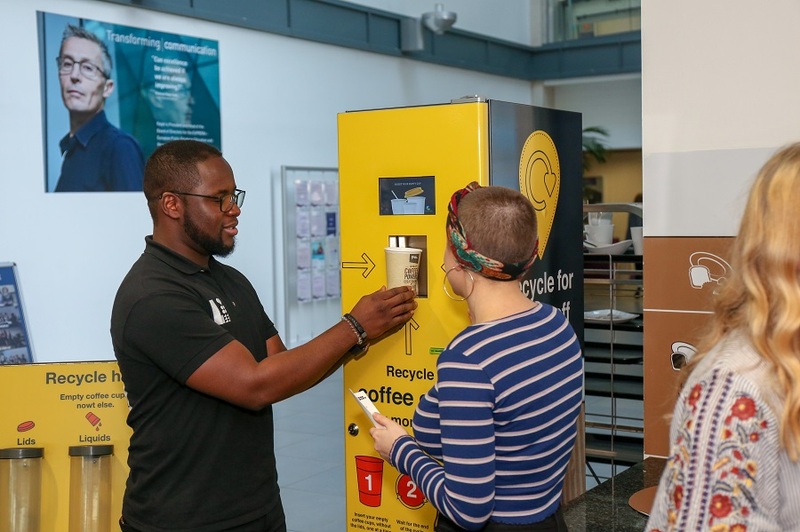 A unique element of the initiative will be the first UK trial of the We-Recycle app developed by OPRL, which will use barcodes and labelling on soft drinks packaging and coffee cups to provide clear, cross-brand help for people on what and how to recycle, with a map to find their nearest recycling points. The app is one of a range of approaches designed to engage the youthful population of Leeds – 57% of the population of the city centre is aged 16 to 24. 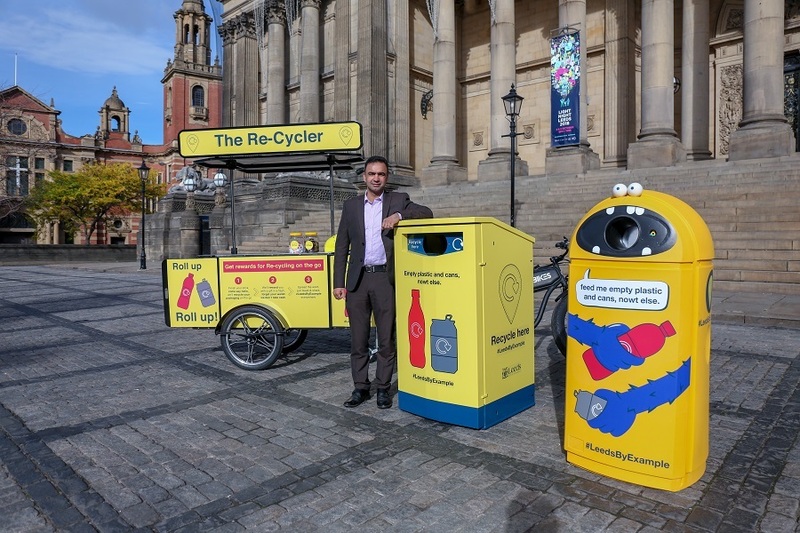 Leeds city centre is a major destination for business and leisure, it also has a growing residential population and the average weekly footfall of 1.3 million provides a great opportunity to trial this innovative approach to recycling. For further information on the initiative and to get involved, visit www.leedsbyexample.co.uk.